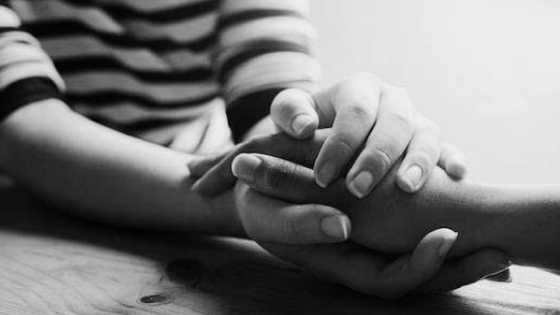 It doesn’t matter how difficult things are for you today, I want you to know that everything will be okay. No matter where you are, no matter what you’re facing, wondering or thinking, God is coming into that situation because He is the end, He is the beginning, He is the alpha, He is the omega, and He is everything in between. Whenever you are left without hope, whenever you are pressed against the wall with nowhere to go, don’t take no for an answer. Wait patiently and expectantly for the Lord knowing that you have a choice – you can let it crush you or you can remind yourself you are stronger and push back. In your walk of life, people will laugh, talk about you and ask where is your God when you are facing trials. Don’t let that bother you. Stay in faith instead and pray for them. Soon, people will see the evident hand of God in your life. If you are struggling to see the light in that situation that you are in today, I want you to know that God is the ONLY one that can say “let there be light” in it. Sometimes we get too dependent on our loved ones that we forget that God is the ONLY one that can make us or break us. You have NEVER been called to be in fear. 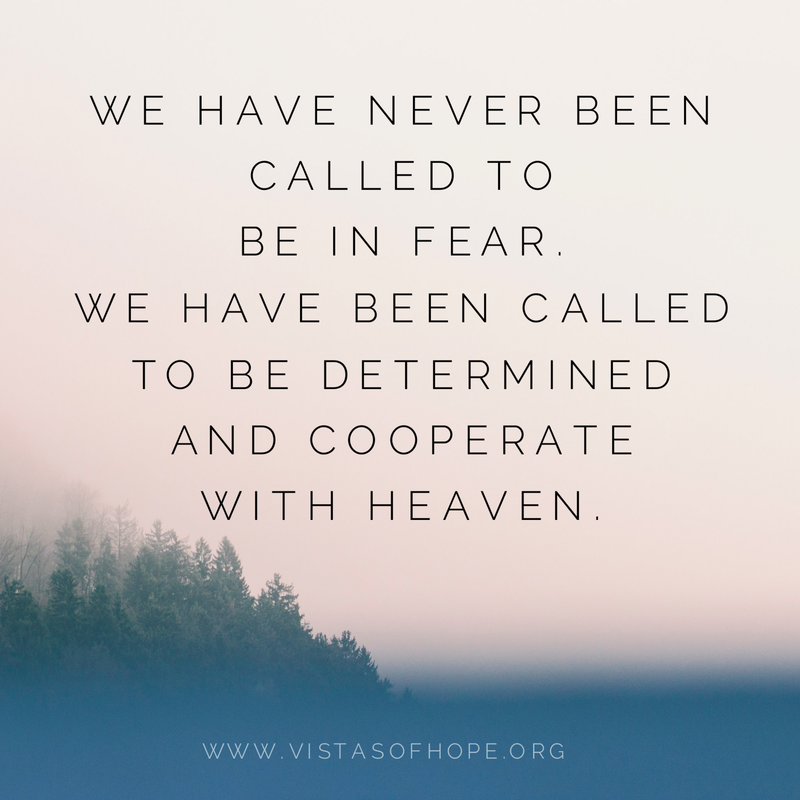 You have ONLY been called to be DETERMINED and to COOPERATE with Heaven. God said to Abraham in Genesis 15:1 (KJV), “Fear not, I am thy shield, and thy exceeding great reward“. He said to Joshua in Joshua 8:1 (KJV), “Fear not, neither be thou dismayed“. He said to Gideon in Judges 6:23 (KJV), “fear not: thou shalt not die“. He said to Jacob in Isaiah 41:10 (MSG), “Don’t panic. I’m with you. There’s no need to fear for I’m your God. I’ll give you strength. I’ll help you. I’ll hold you steady, keep a firm grip on you“. Why are you in fear? What are you saying to yourself? What are you saying to your children? What are you saying to your body? What are you saying with your mouth in that situation? Are your words filled with fear or with faith? What can you see in that blessed mess? 2 Timothy 1:7 (KJV) says, “For God hath not given us the SPIRIT of FEAR; but of POWER, and of LOVE, and of a SOUND MIND“. David was a man without the Holy Spirit but his words were in agreement with Heaven. He so mastered the Word he was bold enough to ask Solomon to walk without fear. If you are in the Spirit then you need to have the audacity of faith over every situation. If you are in Christ, you were not called into a life of fear. You were called to rule and to reign. Jesus said in Luke 12:32 (KJV), “Fear not, little flock; for it is your Father’s good pleasure to give you the kingdom“. Beloved of the Most High, “God is on your side and you are more than a conqueror” (1 John 4:4). So fear not! The unreal never was and never will be, while the real always was and never ceases to be. Fear not to venture into new vocation; Fear not to transform to a better status; Fear not to give what it takes once you feel led to venture; Fear not to walk on “water”. In whatever street of life you are right now, “Fear not; you will no longer live in shame. Don’t be afraid; there is no more disgrace for you…” Isaiah 54:4 (NLT). ​If this year has already been good for you, it’s going to get better. 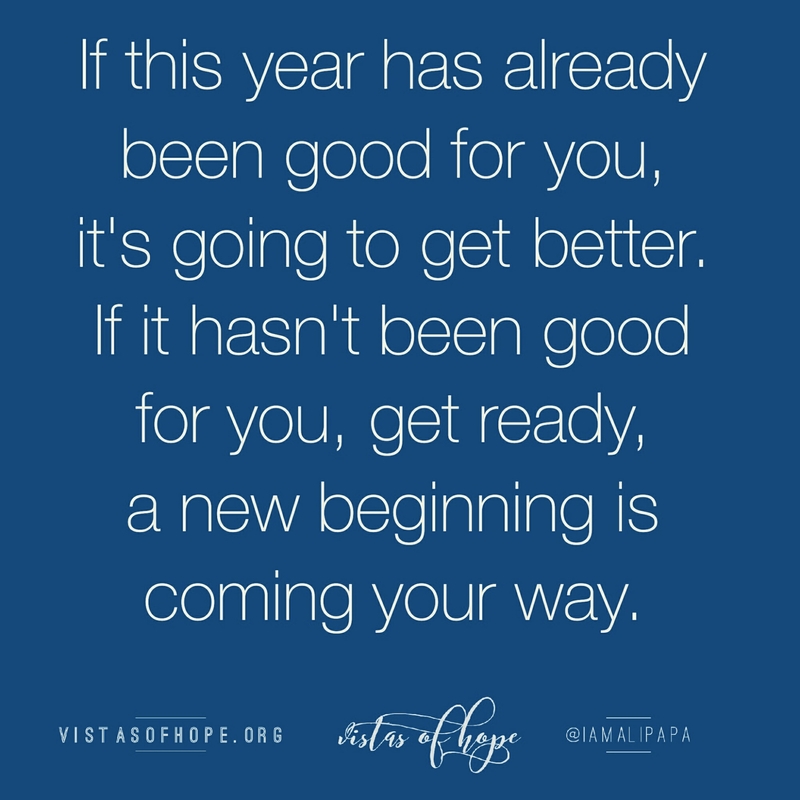 If it hasn’t been good for you, get ready, a new beginning is coming your way. Every piece and every part will fit together. You will go to places you have never been before. You will be at the right place and at the right time. No weapon formed against you will prosper. That evil plan, it shall be thwarted and taken away! Hidden things, they shall be revealed and uncovered. James 5:16 (AMP) The earnest (heartfelt, continued) prayer of a righteous man makes tremendous power available dynamic in its working.